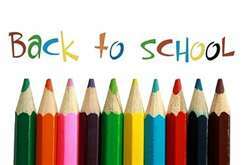 This week was back-to-school time for most of us. Back-to-school for us means cracking down on the schedule and really trying to hit the books. We do school throughout the summer here but in a laid-back way. I have a 1st-grader, a 3rd-grader, a 6th-grader, and 10th-grader, and two in college. It didn’t seem daunting until I just typed that out. I managed to start school and find some great links this week. Here’s what I found while you were going back to school. I hate tip lists – I am so tired of repetitive, uninspired lists of household tips that we have all read multiple times. I once read one that suggested using a different colored toothbrush for each member of the family! I ran to my husband right away with the news that we would no longer have to guess whose toothbrush was whose. So, I was impressed by this list with many ideas I had never seen before. They get really good around #19. Now, if I can just remember them when I need them. Birth control pills and your love life – I have always been opposed to birth control pills for several personal reasons. Mostly, they make me feel like a crazy lady. This article brings up some problems I had never thought of and they are considerable. Now, I don’t believe in the strictly scientific approach to attraction and love between men and women found in this piece. I do think toying with hormones is a dangerous game. I have often wondered if the fruit on the forbidden tree was some sort of estrogen-based plant life. And to never have the um…great feelings that go along with ovulation once a month….no thank you. Hand-written emails – My handwriting is really not worth seeing but I love knowing that this is possible. 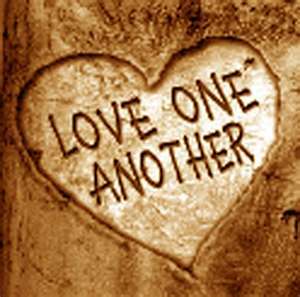 37 ways to Love One Another – this is a great list of the Bible verses about loving one another. Each one is daunting and humbling but Love is a command after all. This kid’s got skills – I was sure this video would go viral on Facebook before I could share it, but I haven’t seen it out there yet. Even though I don’t recognize some of the songs, the mom in me is proud of his use of nerd skills that give him so much swagger while he plays. Watch him win over the cynical boys to the right of the screen. This entry was posted in Friday link-sharing feature and tagged back to school, birth control pills, handwritten emails, hormones effecting your love life, love one another, origianl household tips, pilot's handwriting program, PVC pipe playing, your handwriting on your computer by lookmom. Bookmark the permalink.